This section takes me back to my childhood and a lot of envy for my older brother and his motorized erector set. 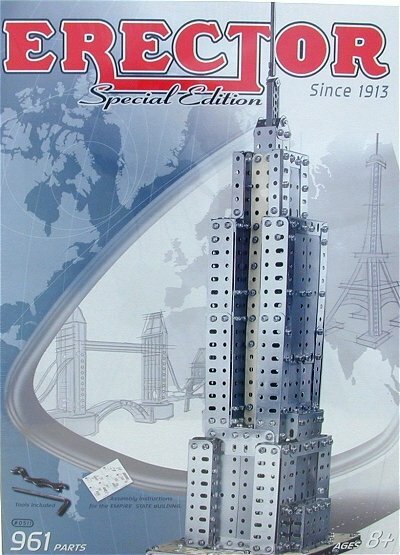 I would help him build working models of various things and then more fanciful creations. We would spend hours on the floor with the box sorting through the pieces to make yet another machine. The only person not quite as taken with the process was my mother who found the occasional piece stuck in the hose of her electrolux. Those hours of play together are a fond memory indeed and I now wonder who that set got passed on to as the pieces last for generations. I'm delighted to introduce the latest sets to you here. We stock all the sets shown on this site and will fullfill your order quickly. 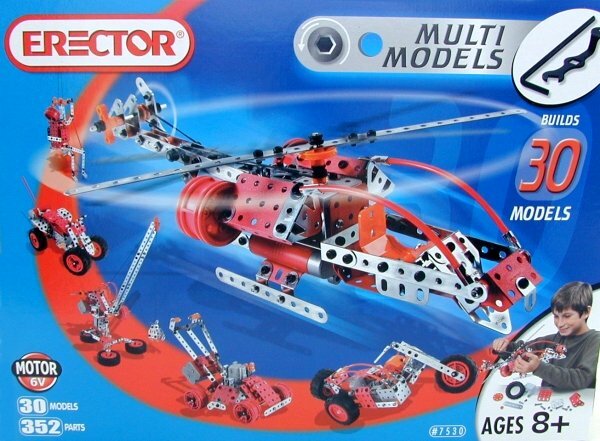 Add motion and real functionality to a helicopter, a construction truck with crane, a scooter, and more. A powerful 6V motor brings life to your creations, and special mechanical functions create unique and exciting movements. 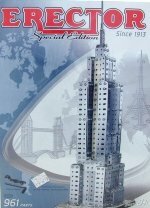 This high-tech fusion of plastic and metal parts with galvanized and painted metal building components can generate up to 50 fun models. Illustrated instructions, the included Allen wrench, and multi-function box-end wrench make the models easy to assemble for those who know the basics. 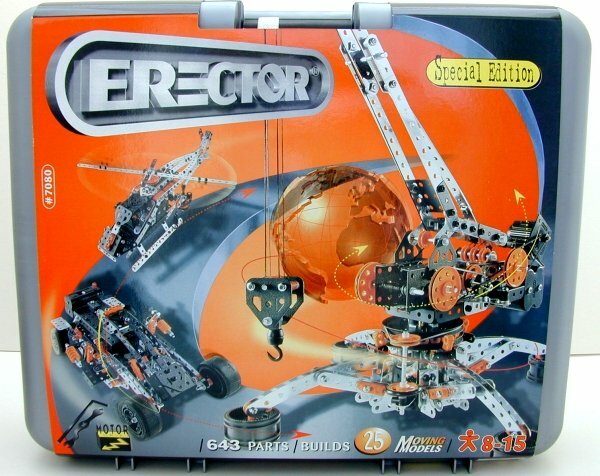 Includes 605 pieces, a 6V motor, and power tool. Designs include Dune buggy, lawn mower, crane, speedboat, tractor, forklift, motorcycle with rider. 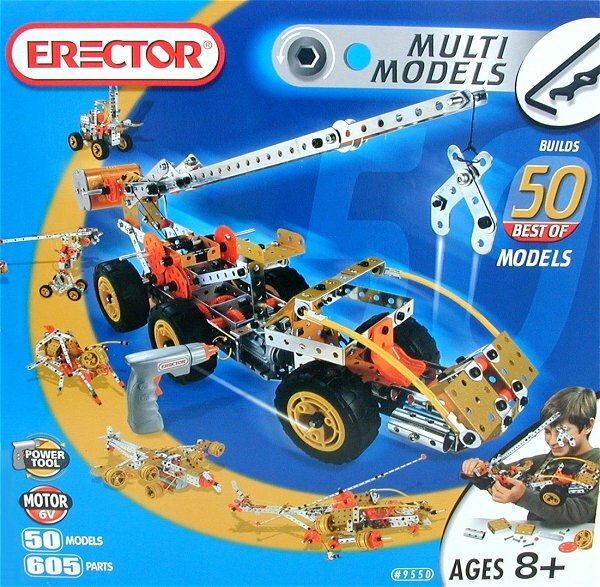 It contains 953 pieces for many hours of fun and constructive playtime and the pieces are compatible with other erector kits.